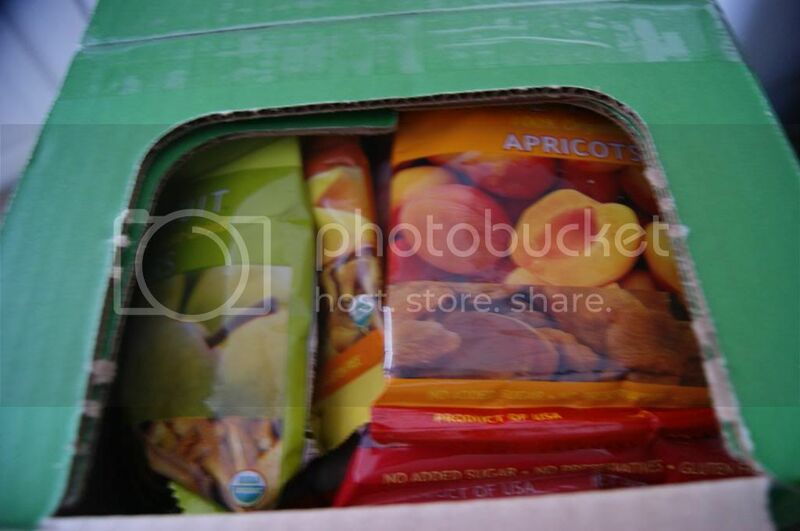 Andrea's World Reviews: Bare Fruit Variety Pack Review. Plus Win a Case of Apple Chips. 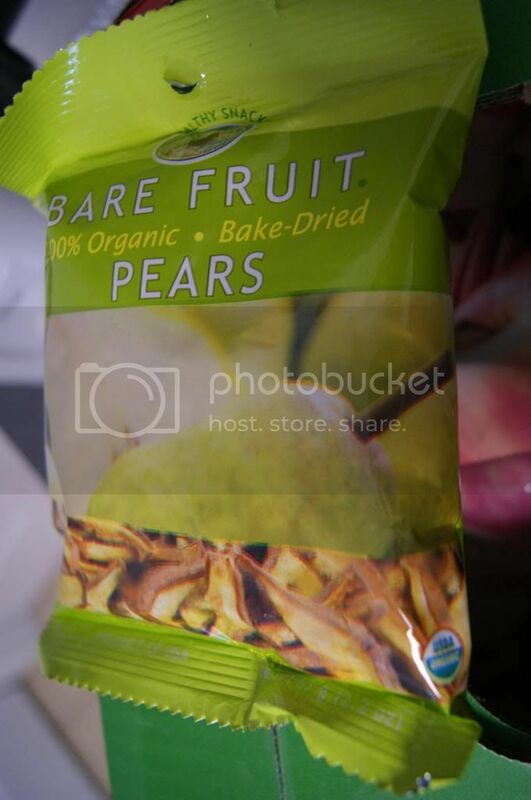 Bare Fruit Variety Pack Review. Plus Win a Case of Apple Chips. A little over a month ago I began my weight loss journey. I have made attempts before to shed some pounds, but I never really know how, and I always fell to temptation. This time is different. I have lost a total of 20 pounds(just this morning) so far, and I am so excited. I know that I can do it now, because I have found the secret. Finding foods that are healthy, but also delicious. But that is not all, I also need these foods to be convenient. As a busy mom, I do not have time to cook special meals for myself, or measure and count and all that. I need something that is easy. That is why I love Bare Fruit so much. 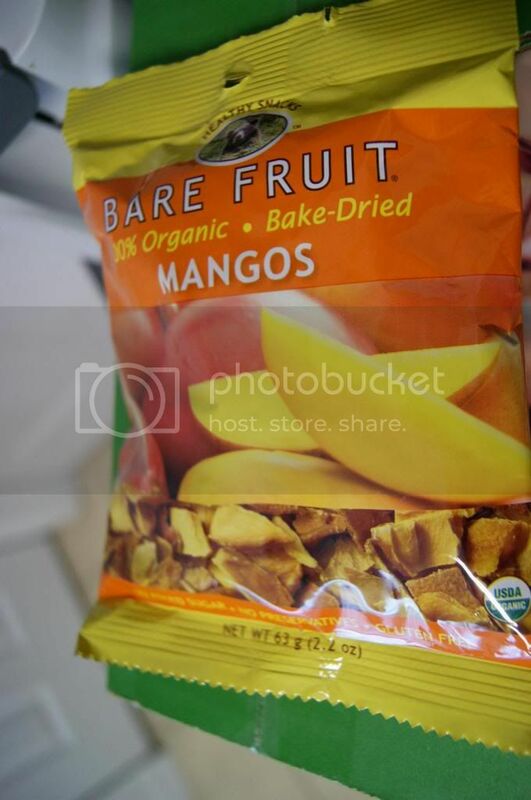 Bare Fruit makes incredible dried fruit snacks. They are so yummy. I just tried their 100% Organic Variety pack. This pack is so awesome. It has 6 wonderful products inside. 3 kinds of (crispy) apple chips, and 3 kinds of (chewy) dried fruit. These are probably my favorite. 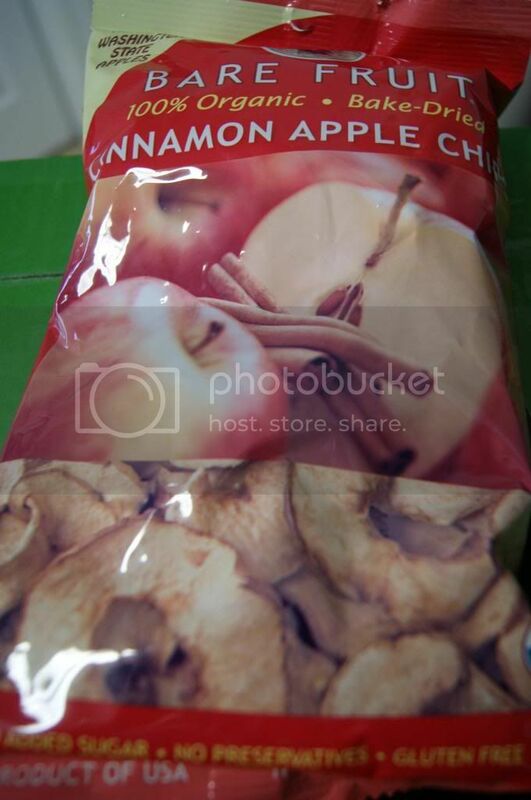 I LOVE cinnamon and apples together, but they are never as good as when as apple chips. The crispy texture just makes it something so special, and the baking makes the flavor really concentrated too, so the apple tastes amazing. These are the perfect thing to crush any crunchy craving. Great for watching a movie in place of popcorn(unless you use plain air popped, then popcorn is fine too) or chips. Great crushed on top of yogurt, or added to cereal. These are so good, and a close competitor for my favorite. Fuji Apples are so sweet and delicious without being overly sweet. 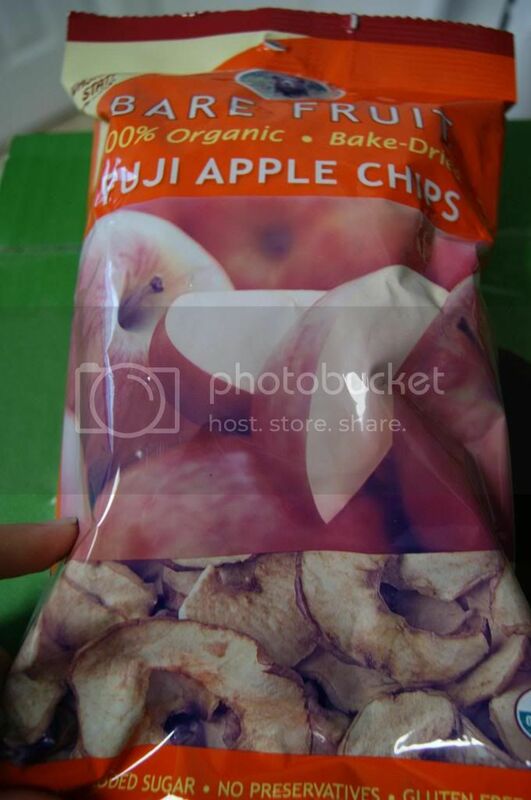 But the texture of Fuji apples is what I love, especially in these chips. These are so good. I could easily eat the whole bag in one sitting. In fact, besides the ones I game my daughter, I did. But since they are Fat Free and only 90 calories per serving, I felt totally fine doing so. These have a slightly chewier(thicker) texture than the other Apple Chip varieties, and I do not care for it quite as much(since I have bad teeth), but they taste great and the texture is still really good, just not the same as the other ones. These are obviously a little more tart also as Granny Smith apples are. My husband liked these a lot. It was nice to have him eat anything besides chips and cookies as a snack. Now we move on to the wonderful chewy dried fruits. 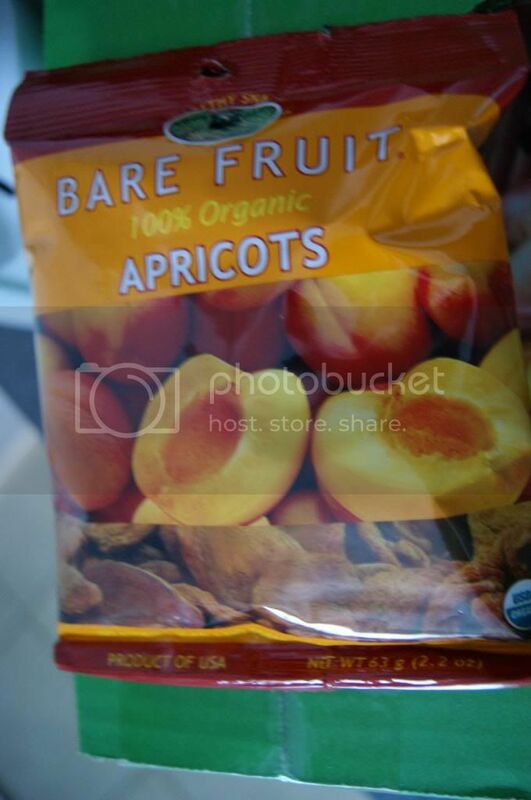 I love apricots, but it's hard to find them fresh in my area, I mean you can, but they are not good quality, so these really hit the spot for me. 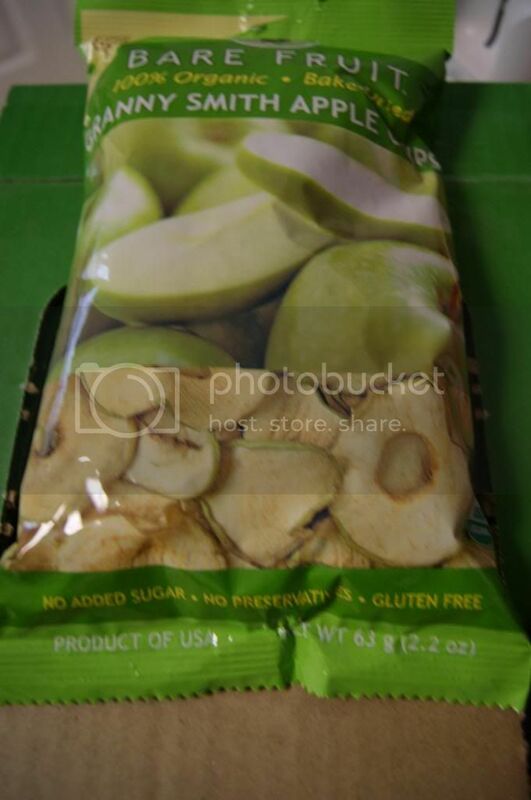 They have plenty of bite and are denser than the apple chips, making them more filling in smaller portions. They are sweet and delicious. The perfect addition to yogurt. Mango is my favorite fruit. I love fresh mango best. When I cannot have fresh, these are better than choosing frozen(frozen is never the same), and better for quick snacking and on the go fuel than trying to eat perishable, smashable, fresh(or frozen fresh) fruit. Pears are another fruit that I love and have a hard time finding fresh. The pears we get are always under-ripe and never get ripe correctly(for me). These are good. Different than a fresh pear obviously, but I like the chewy texture, and the flavor is so great. These babies are a winner. My little girl loved these. If you are craving some healthy deliciousness, then you are in luck, because Bare Fruit and Andrea's World are giving away a CASE of apple chips to one lucky winner. This giveaway starts 2/22/13 and ends 3/01/13. Good luck. 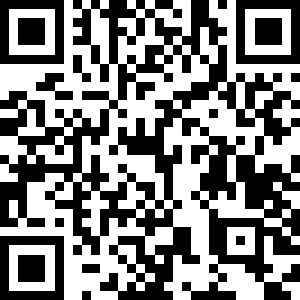 You can also scan this QR code with your smartphone to enter. Leave me a comment telling me why you would love to win, or which flavor you want to try most. They look delicious! I'm always looking for healthier choices for my family. Thanks! great review! they look great! YUMMY! I want some now! Thank you for introducing me! ooo these look yummy! I love healthy snacks and dried apples would be a friendly snack for my husband too. I love dried fruit, I eat some in a mix with some nuts almost every day, so does my step-son.